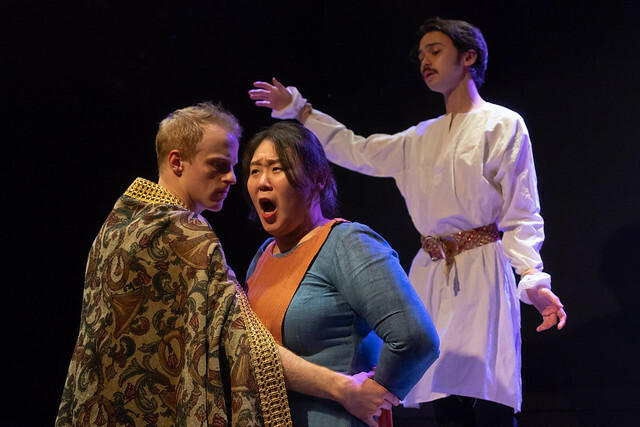 “The opening scene of the opera As One, produced by UrbanArias, beautifully establishes a work that is both universal and timely in its experience and a metaphor for the fluidity of identity of a male and female in one body.” Susan Galbraith writes in her review for DC Theater Scene. As One, a monodrama for two singers, illustrates the struggle of the transgender protagonist Hannah as she battles with the mismatch of how she feels and how her body appears. 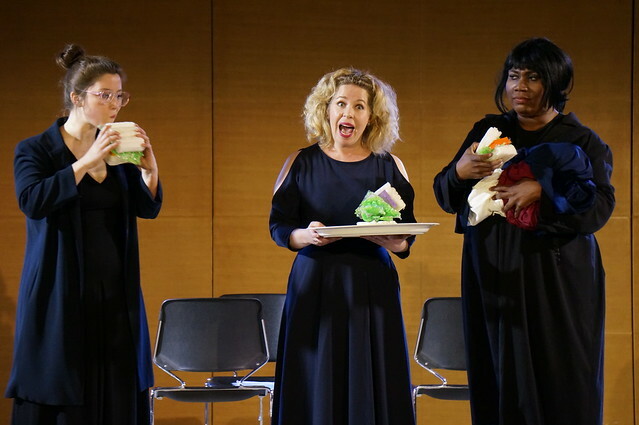 Composer Laura Kaminsky, librettists Mark Campbell and filmmaker-librettist Kimberly Reed created an opera which delves deep into ones definition of self with great simplicity in production and instrumentation. As One was developed and produced by American Opera Projects who have also been instrumental in getting As One performed in California and D.C. UrbanArias held performances of As One on October 3, 4, 9 and 10 at the Atlas Performing Arts Center in Washington DC. The production was led by director Octavio Cardenas, and conductor and head of UrbanArias, Robert Wood. 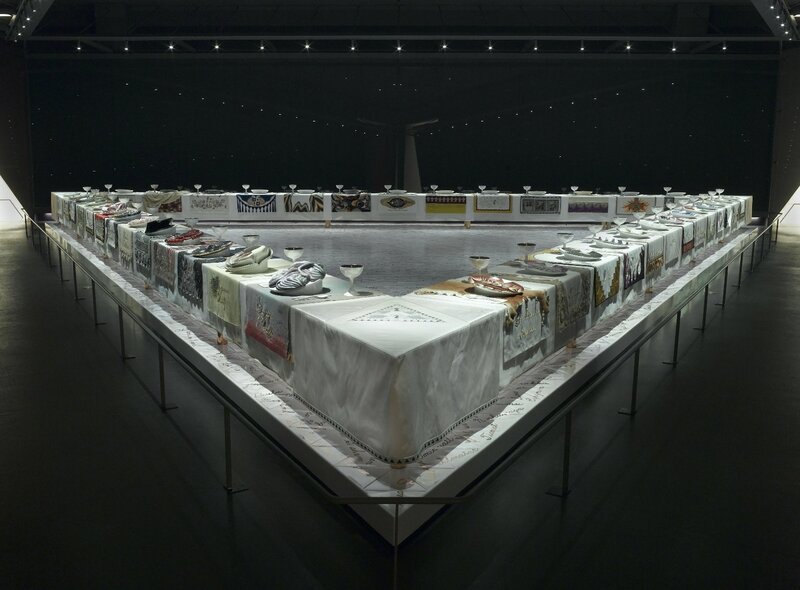 Read more about the opera at AOP’s As One page. The Wanton Sublime, composed by Tarik O’Regan with a libretto by American poet Anna Rabinowitz, focuses on the character of the Virgin Mary as she grapples with the terror of being chosen for a divine purpose. Originally developed in NYC with American Opera Projects, it was just performed at the Grimeborn Festival in East London. 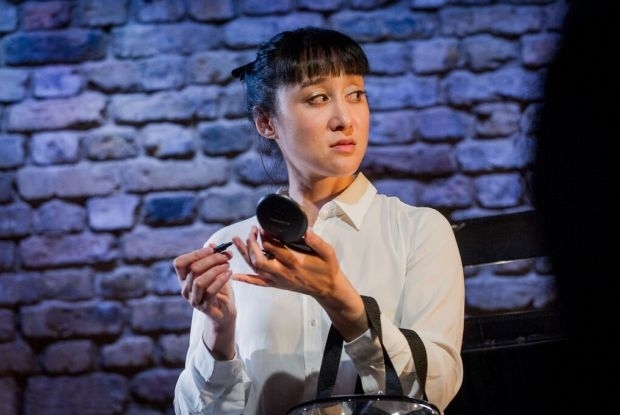 Hai Ting Chinn was the star in this one woman opera, conducted by Andrew Griffiths, who lead the Orpheus Sinfonia, and directed by Robert Shaw. A strong, well-rounded production, The Wanton Sublime gives a new voice to a classic figure through powerful text, beautiful melodic lines, a simple production, and atypical instrumentation. AOP began developing the monodrama in 2009 and co-produced its premiere at Roulette in Brooklyn in 2014. 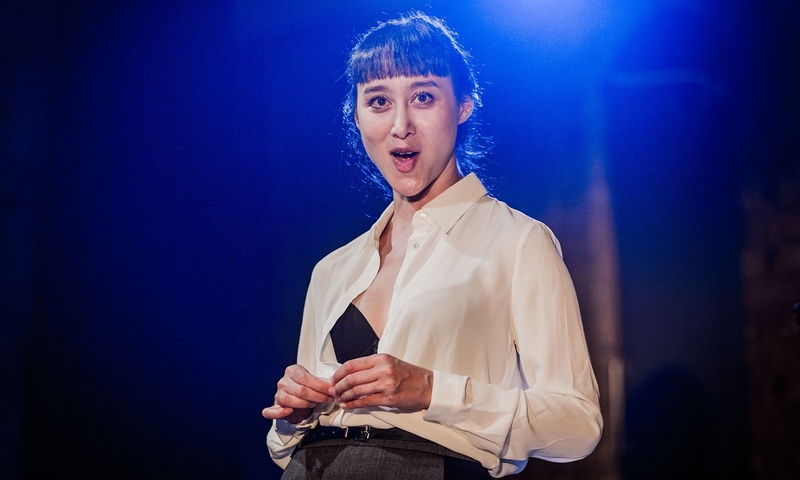 AOP had previously worked with Tarik O’Regan on his first opera Heart of Darkness and with Anna Rabinowitz on Darkling, another operatic adaptation of a book of her poetry. Darkling, music by Stefan Weisman, was commissioned and developed by AOP. On May 2, Opera Parallèle presented the US premiere of the AOP-developed opera Heart of Darkness at San Francisco’s trendy industrial Z-space. The new production by Brian Staufenbiel featuring designs by artist Matt Kish and conducted by Nicole Paiement sold out each of its four performances. 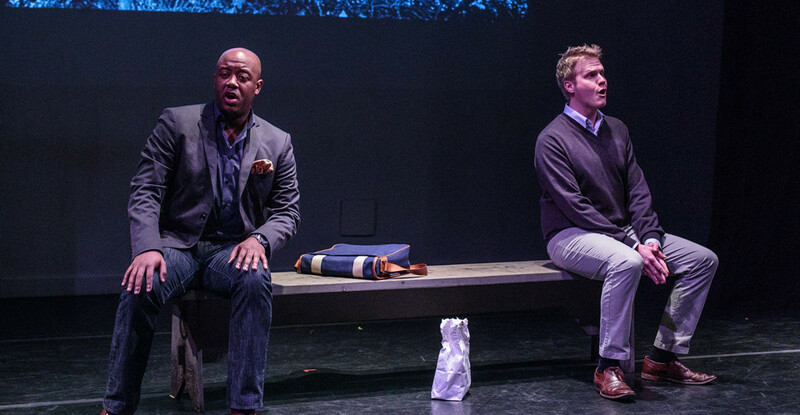 NEW YORK, NY—AOP (American Opera Projects) and Adelphi University present Independence Eve, a new chamber opera in three scenes that explores the troubled journey of race relations in America. The concert performances will take place on Thursday, November 13 at 7:30PM at the Concert Hall of the Performing Arts Center at Adelphi University (1 South Ave, Garden City, NY 11530), with a second performance on Saturday, November 15 at 8PM in the Great Room at AOP’s South Oxford Space (138 S Oxford Street, Brooklyn, NY 11217). Composed by Sidney Marquez Boquiren with a libretto by Daniel Neer, the opera will include performances by baritone Jorell Williams, and tenor Brandon Snook. Damian Norfleet will act as stage director, while Mila Henry will provide music direction and piano. Tickets for the Nov. 13 Adelphi performance will be $20 with discounts suitable for seniors, alumni and students. Tickets are on sale now and are available at http://aupac.adelphi.edu/. Tickets for the Nov. 15 South Oxford Space performance will be $20 and $15 for students and seniors and are available at www.operaprojects.org. Currently in development at AOP, Independence Eve is comprised of three unrelated scenes, each of which take place on July 3 on a park bench in an unspecified American city, in the years 1963, 2013, and 2063. Each story focuses on the relationship between two men, one white and one black, who struggle with identity and acceptance. Independence Eve is a study of black and white America, offering commentary on the intricacies of race relations and the insidious and persistent stain of racism that has remained consistent throughout American history. The first scene of the opera, “Stop and Frisk,” has already received numerous community performances throughout Brooklyn, including this year’s BEAT festival. It has garnered attention from the press, including a recent Talk of the Town profile in The New Yorker. 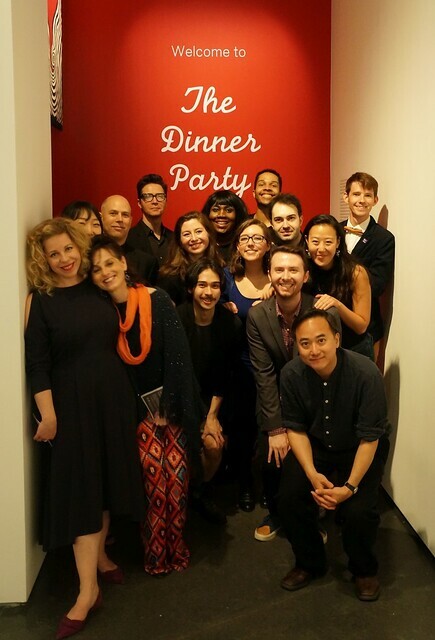 Independence Eve is currently in development as part of the Brooklyn organization’s First Chance program that gives composers and librettists a first chance to hear their work performed before an audience. Development of the opera began during Mr. Boquiren’s fellowship in the 2011-12 season of AOP’s composer training program Composers & the Voice with both Mr. Williams and Mr. Snook creating their roles. Development of the opera is made possible, in part, through generous funding by The Andrew W. Mellon Foundation and the New York Department of Cultural Affairs. AOP plans to present the world premiere of Independence Eve at park benches around New York City in June 2015. Sidney Marquez Boquiren is a composer-performer who grew up in the Philippines and Saudi Arabia but has spent most of his life in the United States. He collaborates with artists on various projects that include opera (Independence Eve with Daniel Neer); Biblical illumination (folia ligni for Spark and Echo Arts); and multi-media (The Gretel Project with Lauren K. Alleyne, Catherine Chung, and Tomiko Jones). As a pianist, he performs regularly with Rhymes With Opera and pulsoptional. -A MacDowell Fellow, Sidney is currently the Chair of the Department of Music at Adelphi University in Garden City, New York, where he teaches music theory and composition. He is also a cantor and sings in the church choir of The Church of St. Francis Xavier in Manhattan. Tenor Brandon Snook has been praised by The New York Times for his “vocal freshness”, along with his “appealing and talented” nature, and has collaborated extensively with AOP, most notably being part of the 2011-12 Composers & the Voice Series. In addition to playing Little Bat in productions of Susannah in Tel Aviv, he premiered the role of Robert Johnson in Phil Kline and Jim Jarmusch’s opera Tesla in New York, Tony in the Off-Off Broadway production of Terrence McNally’s Master Class, and Frederic in The Pirates of Penzance in South Carolina. Additional mainstage credits include Cincinnati Opera, Michigan Opera Theatre, Des Moines Metro Opera, Sarasota Opera, Lyric Opera of Kansas City, and solo concert credits at Lincoln Center and Brooklyn Academy of Music. A native of Dallas, Texas, Brandon has voice degrees from the University of Kansas and the University of Michigan. Damian Norfleet is a singer, actor, and director from New York City. His past collaborations with the American Opera Project include Harriet Tubman: When I Crossed, The Summer King, Brer Rabbit and the Tar Baby, and We’ve Got Our Eye On You. Other past productions include Dreamgirls, Ragtime, Showboat, Cats, Henry V, The Festival of the Lion King, Smokey Joe’s Cafe, Tommy, Equus, The Music Man, Kiss me, Kate; The Threepenny Opera, Makandal, Go West! (Village People Musical), Casanova, The Tenderland, Don Giovanni, Carmen, the new American opera Truth, the feature film Outliving Emily and the webseries Co-Operation. About Adelphi University: Adelphi is a world-class, modern university with excellent and highly relevant programs where students prepare for lives of active citizenship and professional careers. Through its schools and programs—College of Arts and Sciences, Derner Institute of Advanced Psychological Studies, Honors College, Robert B. Willumstad School of Business, Ruth S. Ammon School of Education, University College, College of Nursing and Public Health and the School of Social Work—the coeducational university offers undergraduate and graduate degrees as well as professional and educational programs for adults. Adelphi University currently enrolls nearly 8,000 students from 43 states and 45 foreign countries. With its main campus in Garden City and its centers in Manhattan, Suffolk County, and Poughkeepsie, the University, chartered in 1896, maintains a commitment to liberal studies, in tandem with rigorous professional preparation and active citizenship.